Recently, TCC submitted a proposal to the National Science Foundation to fund a five-year project aimed at bolstering the success of students in STEM (Science, Technology, Engineering and Math; S-STEM). The submission was the end-result of six months of collaboration between TCC faculty, administrators, and the Office of Sponsored Programs. The proposal builds off TCC’s involvement in a prior stage of the grant that funded the TCC PIPESTEMS program in 2009. The proposal seeks $998,407 to launch the new STEM initiative, $600,000 of which will be used to provide direct financial aid to students. Assistant Professor of Chemistry Dr. Patrick Idwasi is the Principal Investigator for the project. At a recent STEM open house at The University of Tulsa, Dr. Idwasi reunited with two TCC PIPESTEMS scholars serving as TU student ambassadors. They shared their appreciation for the program and its impact in helping them get to TU. See more about the grant at this link: NSF Grant Proposal. Associate Biology Professor Mary Phillips reports that TCC has been named a NASA Oklahoma Space Grant Affiliate with the OSG Consortium. The OSGC represents a statewide partnership of universities, a cooperative extension service, state government, city government, industry, and a major science museum working to enhance opportunities for Oklahomans to understand and participate in NASA's mission directorates by supporting programs in science, mathematics, engineering, technology, education, geography, and other aeronautics and space related disciplines throughout the state. creating, organizing, conducting, and financially supporting programs for Oklahomans to better understand NASA's work. For more information, contact Professor Phillips or see the OSGC web site. Undergraduate Research is Teaching and Learning! 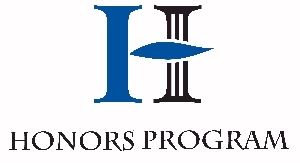 Research and Scholarly Activities provides opportunities for undergraduate research in various programs and courses at Tulsa Community College. Most community college settings emphasize teaching, with few or no opportunities for undergraduate research. High Impact Learning, such as research and other scholarly activities, develops the highest levels of learning skills: analyzing, synthesizing, and evaluating. Tulsa Community College students involved in undergraduate research experiences have consistently continued to achieve higher levels of academe or obtain professional jobs in their fields of study. Research and Scholarly Activities (RSA) creates a culture of undergraduate research and provides the active learning opportunities and community action projects benefiting all participants and directly supporting the College's mission. Tulsa Community College, as an innovative institutions, incorporates these learning opportunities in all areas of the curriculum. Undergraduate research includes scholarly and creative activities across all disciplines. The mission of Tulsa Community College’s Center for Excellence in Learning and Teaching is to promote greater understanding of the learning process, support the implementation of teaching innovations, best practices, and foster the scholarship of teaching and learning at TCC. The CELT seeks to increase student success by embracing new ways of looking at student learning and faculty’s roles in creating active and engaging learning environments. Click here to access the Celebrate Learning! CELT newsletter. Several annual events support the Tulsa Community College Research and Scholarly Activities mission. While specific dates may vary, watch for these opportunities that typically occur in the following semesters. Now in its 17th year, this event features more than 1,200 registered students, faculty, and guests and more than 700 posters. Lunch and registration are free! TCC provides bus transportation to the event at NSU in Tahlequah. Registration and abstract submissions are typically due early each year. Research Day at the Capitol is an annual event held at the Oklahoma State Capitol during the legislative session. The event was created to inform the legislature and the public about the high-quality research being conducted at Oklahoma colleges and universities. TCC typically has a competition in September to determine the representative for the spring event. 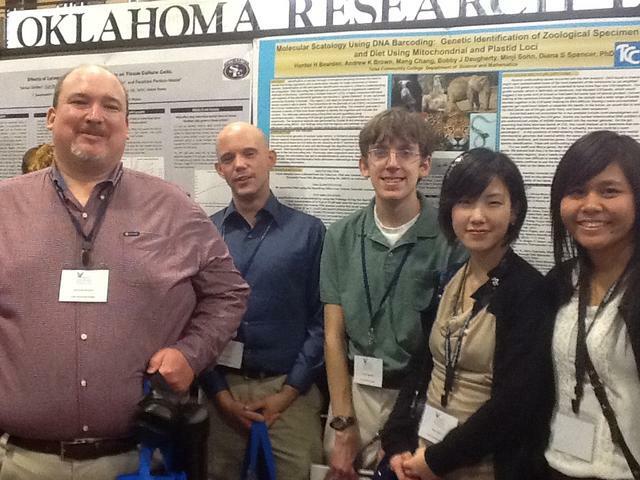 ﻿Oklahoma INBRE Summer Research Interns and Tulsa Area Bioscience Education and Research Consortioum presentations usually highlight summer research in July. Oklahoma Academy of Science Annual Technical Meeting. This year's meeting will be Nov. 4 at OSU-CHS in Tulsa. CUR: Council on Undergraduate Research supports and promotes high quality undergraduate student-faculty collaborative research and scholarship. CCURI: Community College Undergraduate Research Initiative uses an inquiry-based teaching model where students are exposed to real world science through a case study in an introductory course followed by a hands-on research experience resulting from questions about or related to the case. OK-INBRE is a grant awarded by the National Institutes of Health Institutional Development Award (IDeA) Program. The Network comprises two lead institutions whose primary missions are biomedical research, education and patient care, and twelve collaborating institutions, one of which is TCC. Native Explorers provides educational programs and promotes partnerships that increase the number of Native Americans in science and medicine. "Developing Research-Based Curricula in College-Based Higher Education" is a downloadable resource which argues that a broader form of research and scholarship than is common in higher education (HE) is needed for the College-Based HE sector – and that this may have implications for the rest of HE. Action Research is a scholarly approach described here, which seeks to improve teaching and learning, and can be a central piece of professional development. This project-based research can benefit professors, counselors, and librarians by actively engaging them in the collaborative study of learning as it takes place day by day in the context of their own practices.